The following is an example of a great (Task A) essay sent in by a GAMSAT student. Give it a read first, and then I will explain a few problems with it and give suggestions as to how it might be improved. “That some should be rich shows that others may become rich and, hence, is just encouragement to industry and enterprise.” Abraham Lincoln. Many in favour of unfettered capitalism have argued that the wealth of the few provides inspiration for the many. They would claim it boosts economic activity and makes everyone better off. However, in truth, severe inequality of wealth is bad both for economies and societies. For a start, the argument that the rich are an inspiration to the poor relies on the assumption that the wealthy have earned their money through hard work or enterprise. This is often not the case. In fact, the longer a society continues in a state of inequality, the more wealth is inherited rather than earned. What kind of “encouragement to industry and enterprise” is provided by someone born into their wealth? What’s more, societies that are unequal tend to become more so. Inequality of wealth perpetuates itself. By concentrating wealth – and therefore, crucially, resources in a few hands – countries are less able to provide for all their citizens. Poor education, housing and a lack of opportunities keep the poor in poverty. Nepotism is rife in unequal societies, allowing the children of the wealthy to prosper even before they inherit anything. When the average sentence length of a piece is less than 8 words long, readers understand 100% of the story. At 14 words, they can comprehend more than 90% of the information. Move up to 43-word sentences, and comprehension drops below 10%. Longer sentences have been shown, repeatedly, to be harder to understand. The UK Government now prohibits sentences longer than 25 words on public civil documents. Great advertisers, who can’t afford to be misunderstood, use the shortest sentences of all. As a competitive GAMSAT student you can’t afford to be misunderstood either. The examiner cannot give you marks for sentences they don’t understand. It is therefore your duty to make comprehension as easy as possible for them. The easiest way to do this is to write shorter sentences. Lack of confidence is the fundamental issue at the core of many students’ essay writing troubles. If you ever suffer from ‘writer’s block’, have difficulty coming up with ideas or find yourself relying on broad generalisations in your essays, you need to read this. Below is an essay written by a student who is just like you. If we look at the world today, young people have become mini-adults. They are growing up at an accelerated rate due to responsibilities bestowed upon them prematurely or pressure from peers. It is paramount that parents and guardians aid in their child’s physical, mental and emotional growth. The struggles are apparent, but should not take precedent to the wellbeing and development of the child. In the current state of inflation, it becomes difficult to foot all of the bills. Many parents are working multiple jobs to ensure the security of their household. Childcare in itself is increasingly expensive that it may be of benefit to have a parent stay home. In a single parent household it becomes an increasing challenge to provide as well as spend time with the family. Though it may pose an obstacle it is important that a child leaves and comes back home to a parent or guardian. In addition peer pressure is a constant phenomenon that causes young people and even adults to sway from values they hold. As a teenager I wasn’t interested in going out to concerts and parties. Due to peer pressure I attended a Chris Brown concert, which I didn’t enjoy in the slightest. Friends and people of the same age group can influence action, thoughts and feelings. Therefore it crucial to have a support system at home to aid in such situations. Some parents due to overworking do not know where their children are half of the time. Absentee parents can cause young children to mature and be doing things that the parents should. A child may be sixteen and old enough to care for a younger sibling, but that child also needs to be cared for. Often young people resent their parents that are constantly working as it adds pressure they are not ready for. Due to ‘playing the adult’ they may show symptoms of fatigue. 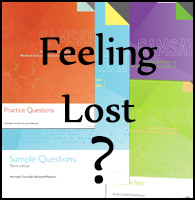 A somewhat basic, yet lengthy introduction to the GAMSAT most notable for its Section III tutorials and accompanying practice material. Read on for a full review. With over 500 pages and weighing just under 3.5 kilograms, this book is a beast. 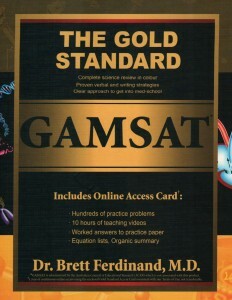 The text is large and the childish cat cartoons are plentiful but Gold Standard nonetheless serves as a thorough, if basic, introduction to the GAMSAT exam.